This is a very, very dark color for a citrine…darker than the common madeira material that I have come across. Also, darker than the picture shows. 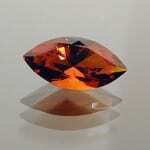 Comments: This is a very, very dark color for a citrine...darker than the common madeira material that I have come across. Also, darker than the picture shows.